The Lake of Pilato is situated at 1941 m above sea level, in a valley shaped by ice, arranged in north-south direction, shape and size vary according to the amount of water due to rainfall and thaw. 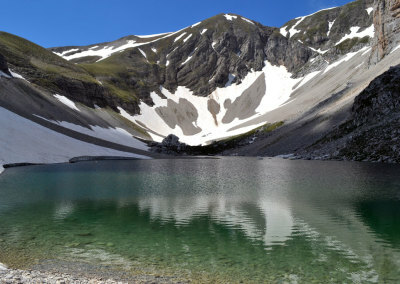 When there is an abundance of water, the lake is shaped like a pair of glasses, with a bottleneck created by rock debris. 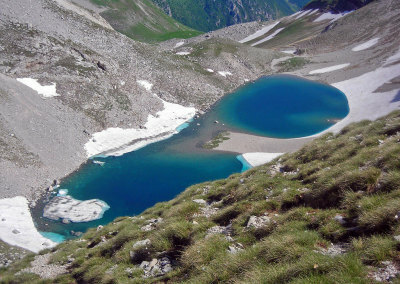 With the decrease of the water, the rock debris emerges, and the lake is divided into two circular ponds, with a diameter greater than 300 m and less than about 100 m. The maximum depth is 9 m.
The whole area of ​​lake of Pilato has a natural value unimaginable, there are many varieties of high altitude vegetation that grow here, especially in the scree. 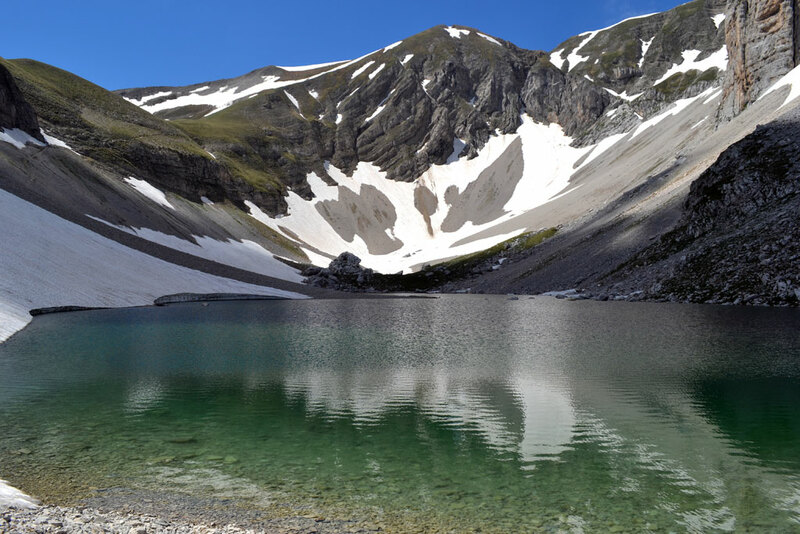 In the basin of the lake you can see the Wall Germander, the snow Gentian, the Edelweiss of the Apennines, the Alpine Catchfly, the Dwarf Willow, and the Yellow Poppy of the Apennines. Is not difficult to find birds such as the Alpine Chaffinch and the Kestrel. 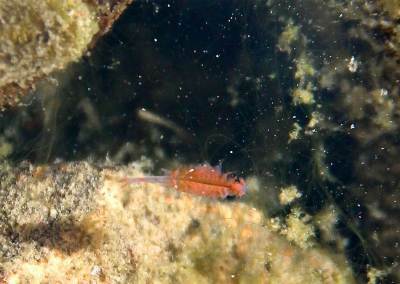 The Waters of Lago di Pilato watch over the most important of its treasures, the endemic crustacean, the Chirocephalus marchesonii. 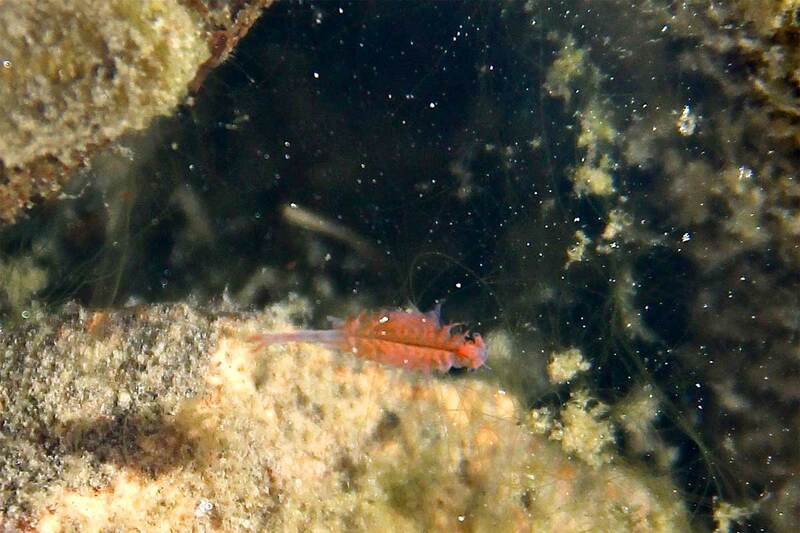 The Chirocepahelus marchesonii is a red coral small crustacean, endemic to the Lago di Pilato, all over the world live only in these waters. It has a curious method of swimming with the belly facing up. It reaches a maximum length of between 9 and 12 mm. 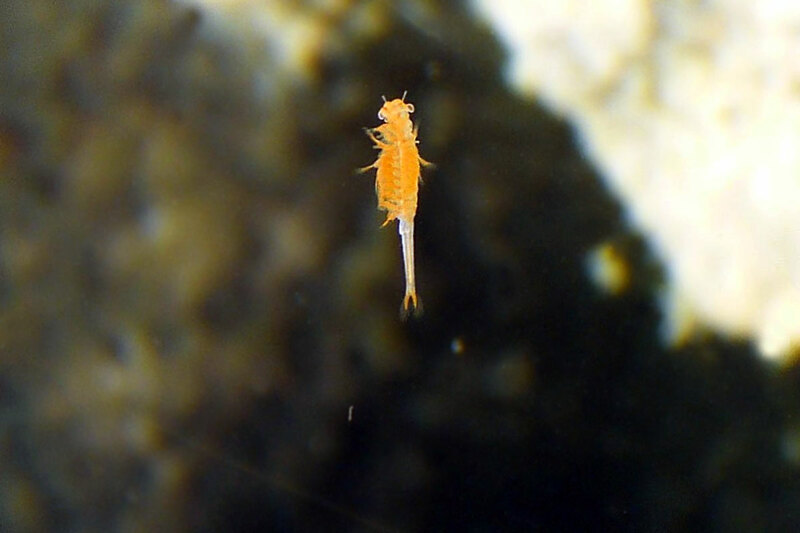 It Spawns along the shores of the Lake, they hatch only when environmental conditions are favorable, usually in the spring or summer, this feature is that which enables the species to survive in an so hostile environment. Great are the forces of the Mountain , beyond the free nature acts with excessive power, the stupidity of the priests condemning that as witchcraft.